Domesday Book records a church at Osberton, but not at Scofton where the church now lies. It is not known where the medieval church lay, whether it was under the site of the present, 19th century, building at Scofton or elsewhere in Osberton parish. 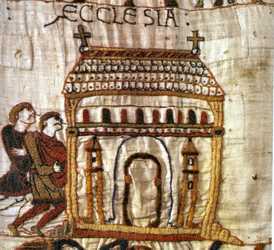 It is possible that there might have been churches in both settlements, but Scofton was evidently a very minor place in 1086. Osberton is therefore categorised as a ‘lost Domesday’ church. No picture of this church is known. 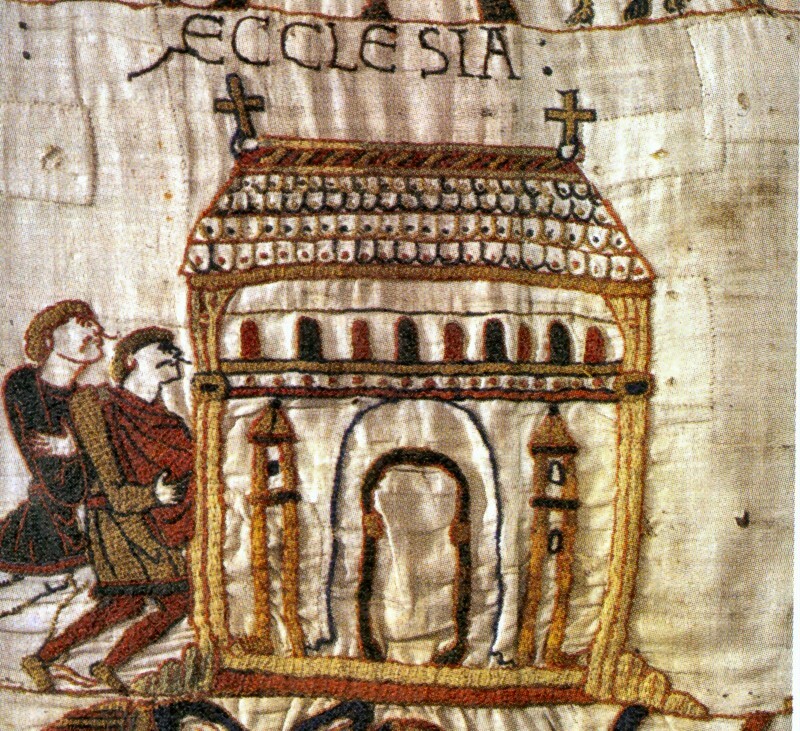 The image on this page is a representation of a church (actually Bosham Church) taken from the Bayeux Tapestry.